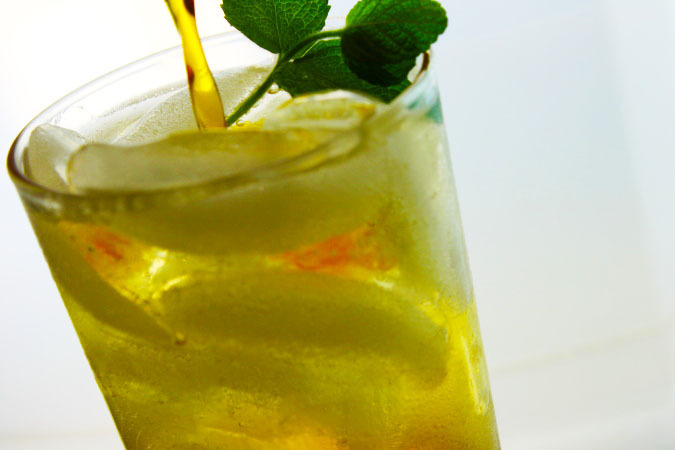 For Sparkling Moroccan Mint Tea, just add carbonated water (see below). I’ve made this with green, black, and flavored teas, and all are good. So pick your favorite tea as a base, then embellish from there. 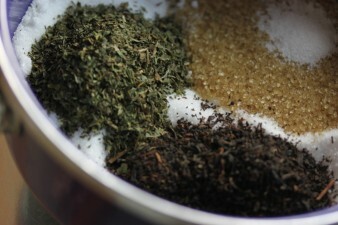 For stronger flavor, increase the loose tea to 3 tablespoons. Combine all ingredients in a small saucepan. Bring to a boil over medium heat, then remove from the heat. Let steep 5 minutes. Strain the syrup: Line a sieve with a dampened coffee filter and place over a large measuring cup or other container. Let cool to room temperature. Pour into a jar and refrigerate up to 2 months. Tips: A coffee filter (or cheesecloth) dampened with water and squeezed out reduces the amount of syrup absorbed by the filter and helps the flow. Citric acid is a natural product; I buy it at the bulk spice aisle of natural and upscale markets, or in packages in Middle Eastern stores. A little dab will do ya, and it’s terrific in salad dressings and marinades. If you prefer, substitute with lemon juice or other citrus juice to taste. Ideas: Sweeten hot brewed or iced tea, or add to lemonade. It also makes a good drizzle on fruit salads, melon, and green salads. Mix 1 part syrup with 4 parts carbonated water, or to taste.